Founded in 2009, Lola Children’s Fund was established to provide funding to Lola Children’s Home in Mekelle, Ethiopia, a community organization providing assistance to HIV-affected families. Lola was founded because Mekelle had no services available for HIV-positive orphans, many of whom are left without family or government support after their parents’ deaths. Many children live on the streets without food, shelter, education or medicine to help them combat the disease. As time passed, Lola grew to include HIV-affected children: kids with HIV-positive parents or siblings whose lives had been affected by HIV/AIDS. UNAIDS reports that Ethiopia has nearly 5.5 million orphans, with more than 900,000 orphaned by AIDS. In 2013, about 200,000 Ethiopian children between the ages of 0-14 and 590,000 adults were living with HIV. The World Health Organization estimates that there are 1.2 million people with HIV in Ethiopia, including 90,000 HIV-positive pregnant women, an estimated 14,000 HIV-positive births and a total of 28,000 AIDS deaths annually. Though Ethiopia has made admirable gains in the treatment and prevention of HIV/AIDS, many families suffer daily from the disease and its stigma. Prejudice against people with HIV in Ethiopia is still so strong that people can lose housing and employment simply from being associated with the disease. Lola Children's Home offers services to children and families. Our residential program offers a safe, loving sanctuary for children with nowhere else to live. Our day care program provides HIV-affected children with healthy food, education, and shelter so that they can remain with their families and still have their basic needs met. An outreach program provides funds for food, educational materials, clothing and medication for kids who need a little extra financial assistance. While our programs may sound similar to others, Lola Children’s Home is a distinctive program. The purpose of Lola is to provide our children with the human rights that all children deserve, while still sustaining a close relationship with their families and their community. Unlike many orphanages, we encourage our children to maintain and even strengthen their bonds with their families and the local society. Kids with local families visit them every Sunday and families visit Lola regularly for celebrations. Some children even live with their families for a month in the summer. All of our children participate in local events and are well known in the Mekelle community. Kids at Lola also do extracurricular activities like tae kwon do, just like so many other children around the world. Our children are healthy and happy, and they treat each other like siblings--for better or worse. They go to private schools, interact with the community, and are safe and loved. Please help us to provide our kids with all the privileges they deserve. UNAIDS reports that Ethiopia has nearly 5.5 million orphans, with more than 900,000 orphaned by AIDS. 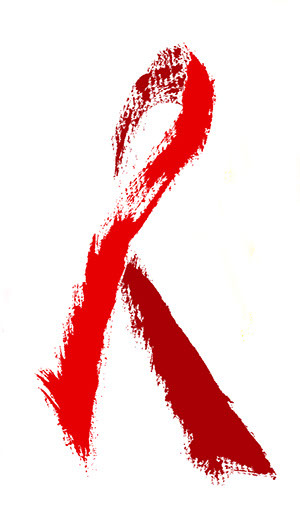 In 2013, about 200,000 Ethiopian children between the ages of 0-14 and 590,000 adults were living with HIV. The World Health Organization estimates that there are 1.2 million people with HIV in Ethiopia, including 90,000 HIV-positive pregnant women, an estimated 14,000 HIV-positive births and a total of 28,000 AIDS deaths annually. Though Ethiopia has made admirable gains in the treatment and prevention of HIV/AIDS, many families suffer daily from the disease and its stigma. Sadly, stigma surrounding HIV and AIDS is still great in Ethiopia and HIV-positive people are generally shunned by their local community. Families will often refuse to accept HIV-positive kids after their parents die, leaving them with no support. As parents with HIV lose their jobs and the disease progresses, they are often unable to care for their children properly, and their kids suffer greatly as well. Since Ethiopia started providing anti-retroviral medications in 2005, this generation of children has become the first to reach adulthood. Unfortunately, programs serving HIV-positive kids are mostly limited to Addis Ababa, which is a two-day bus journey from Tigray. Lola Children's Home is the first orphanage in Mekele to focus on HIV-affected children and to accept both HIV-positive and negative children. Most other orphanages will separate siblings based on their HIV status, but at Lola, they stay together. With anti-retroviral treatment and general good health, people with HIV can expect to live well into their 60s and beyond. * Lola Children's Fund provides treatment and shelter for HIV orphans as well as allowing children with living HIV-positive parents to receive education, food and shelter during the day. Our family sponsorship program assists parents who are too ill to care for their children, while still allowing the family to remain together. 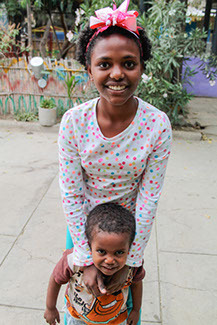 Despite the overwhelming statistics about HIV and AIDS in Ethiopia, Lola Children's Home is a safe and caring environment for children dealing with HIV and its effects. 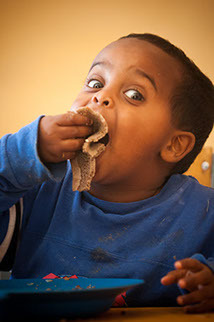 Lola Children's Home is the brainchild of Abebe Fantahun, an orphan from Tigray who lost his parents in the famine. As an orphan himself, Abebe feels a calling to help kids in the same predicament. Working as a social worker at one of Addis Ababa's only HIV-positive orphanages, he felt a specific commitment to children with HIV. He decided to return to his birthplace and serve the local children as the founder and director of Lola Children's Home. Lola Children’s Home began as an orphanage for children affected by HIV. It quickly grew to encompass children from the community, and its mission was redefined. Instead of simply housing children, it would care for orphans in addition to assisting local families. 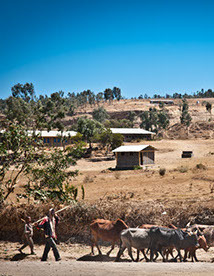 Lola Children's Fund offers three sponsorship programs for children at Lola Children's Home and the Mekele community. Our day care sponsorship program is $30 a month and helps HIV-affected children from the community remain with their families while receiving specialized care at Lola House. The donation will provide children with a safe place to stay while their parents are at work, as well as food, medication and clothing. Sponsors of kids in the day care program will receive the same information as orphan sponsors: progress reports, photos and letters from their sponsored children. Our resident sponsorship program is for children living at Lola Children's Home full time, and will cover a child's food, medications, clothing and school costs. Lola residents have no family who are able to care for them and no other options but to live at the orphanage. Sponsorship is $35 a month with an annual commitment, and in return for a monthly donation, sponsors will receive bi-annual progress reports about their child, as well as photos and letters. We have also started a community outreach program for HIV-affected families. The program will provide families in Mekele with monthly funds for rent, food or school supplies. Unlike the funds for the resident and day care sponsorships, the money for the outreach program will go directly to the families. Family sponsorship will be $25 a month. If you are interested in sponsoring Lola's children or a local family, please click the monthly subscribe button. Your donation will be directly deducted from your debit/credit card or Paypal account on a monthly basis. If you would prefer to pay up front for the entire year, please click the annual subscribe button. Please note that all sponsorships will automatically renew annually until you decide to terminate your sponsorship. Please contact our sponsorship director at sponsorship@lolachildrensfund.org with sponsorship questions. If you have any problems signing up using Paypal, please contact Tim at allie@lolachildrensfund.org. We hope you will consider a monthly sponsorship. Your participation will allow Lola's children basic human rights: love, shelter, clothing, food and life-saving health care. Thank you. Otherwise, please donate online using the button below. We are always in need of new clothes and supplies, should you want to donate. Unfortunately, we cannot send overly used or broken donations because of the cost and difficulties of shipping to Ethiopia, so we can only accept new or very gently used products. To hold your own supply drive or for more information, please contact donations@lolachildrensfund.org.